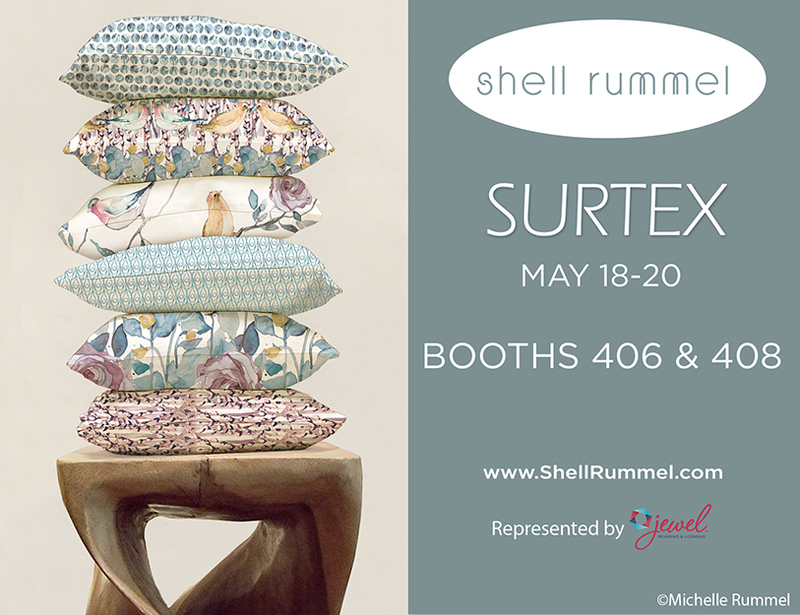 Thrilled to be beautifully represented at Surtex again this year by my licensing team, Jewel Branding. This is a show that I really look forward to...Love to walk the aisles, spend time with my agent team, meet with some of my current licensees and also have the opportunity to meet with new companies who might be a good fit for my art and design work. If you'll be attending, let me know! I'd enjoy meeting up to share a cup of coffee, walk the show or take in a little eye candy at one of the most inspiring shows of all, ICFF. My design assistant, Rachel and I have been working hard to ensure that my newest collections look their best for presentation at Surtex. As always, honored to be a part of it all and excited by the possibility of what's to come... Wishing everyone who will be exhibiting a successful show! Newer PostJewel Branding Designers Featured in "On The Surface"